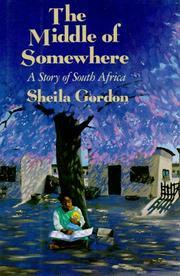 The author of Waiting for the Rain (Jane Addams Peace Prize, 1988) again tells of the South African struggle for justice. Though her parents try to reassure her, Rebecca is continually anxious that her village will be forcibly moved to a homeland. White promises of better housing and jobs lure some neighbors, including the family of Rebecca's best friend, Noni; but Noni's aunt comes back to report that the assurances were lies: the schools and factory are not yet built; conditions are even worse than at home, where work is so far away that parents, like Rebecca's Mama, often can't make it home on weekends. The new knowledge strengthens resolve and organization; a demonstration, with foreign observers and worldwide publicity, succeeds in averting the threat--though Rebecca's father, who makes a stirring speech, is imprisoned for months afterward. Taking place in the recent past (news of Mandela's freedom comes near the story's end), this is a relatively hopeful book, perhaps unrealistically free of violence (in sharp contrast to Naidoo's Chain of Fire, p. 428/C-78). It is, however, appropriate for younger children, and presents a poignant, telling picture of a little girl who can treasure a discarded, blue-eyed doll even as she gets used to having "Feeling sad [become] part of what she did every day" while she longs to have her parents back home. A compassionate book that effectively presents an important part of the truth.